Giant Wall Stickers with a difference - SIZE !! These wall applications are great for a quick makeover or part of a fully sea themed bedroom design. What colud be easier than Peel and Stick ? With loads of your childrens favourite Sealife creatures including Marine fish stickers, shark stickers, whales & Dolphin stickers to choose from, you can build up an amazing under the sea themed wall for you kids rooms. 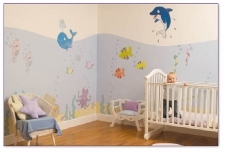 These sea adventure themed wall stickers will not damage the wall in any way when removed. To get an idea See the bottom of this page. 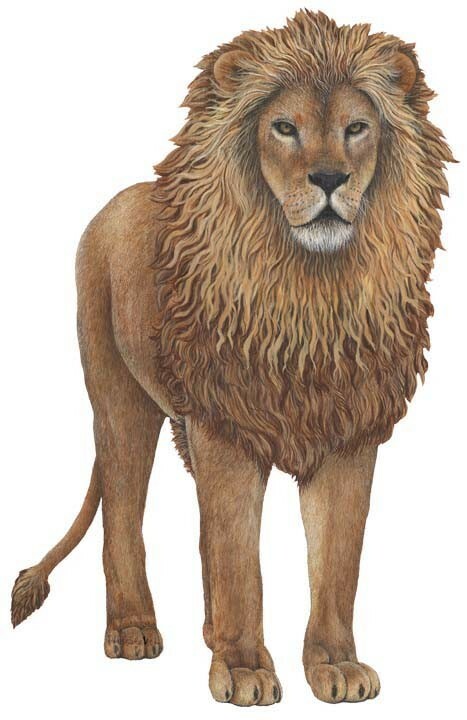 One of over 35 fantastic designs for childrens bedroom walls. Under the Sea themed bedrooms are easy to create with these Walltastic wallpaper murals. Plenty of colourful marine fish & Sea creatures. 12 individual sheets make up the whole under the sea themed wall, with Sharks, Dolphins, whales & loads of fish. Spot the shipwreck, the hidden treasure and the lost city beneath the sea. This sea theme is our best seller and its great for boys or girls bedrooms, it also lasts longer because children don't grow to old for it. Not just for children either !! This wallpaper mural is packed with exciting sea creatures !! All in one big under the sea picture. Ideal for Hospitals, Waiting rooms, Schools, Kids rooms and Play rooms. Each sheet measuring 46cm x 34cm. Let your child experience life under the sea. This Sea Adventure sticker kit consists of a massive 108 stickers. High quality wall stickers that can be placed on any individual wall or all walls, Doors, Furniture and even glass. Sharks and Dolphins,Whales including Killer whales along with an Octopus, Starfish, Seahorses and loads of other fish. There are even sea plants in this kit so that you can create a real Under the sea themed wall within your childs room. Interactive decor for kids! - - Removable and repositionable -- Switch around the pieces to create a new look ! -- Leaves no sticky residue -- Easy to remove, safe for most surfaces. Create a Cartoon Style sea creature themed bedroom for your children with these glossy peel and stick decals. Ideal for young children, little boys & little girls alike. A unique new range of funky Marine themed kids wall stickers.They create a stunning effect that little children love, boys & girls alike. 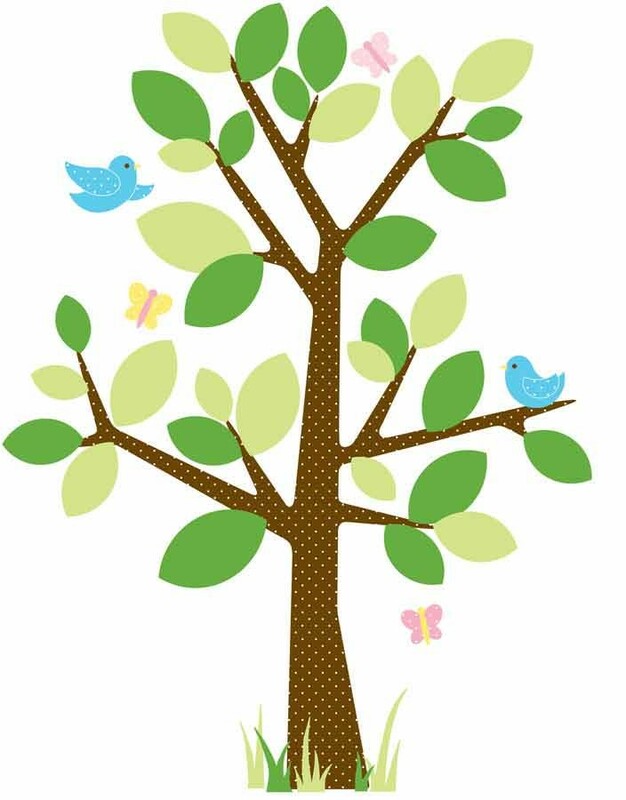 Ideal for kids rooms, bedroom walls and nurseries decoration. 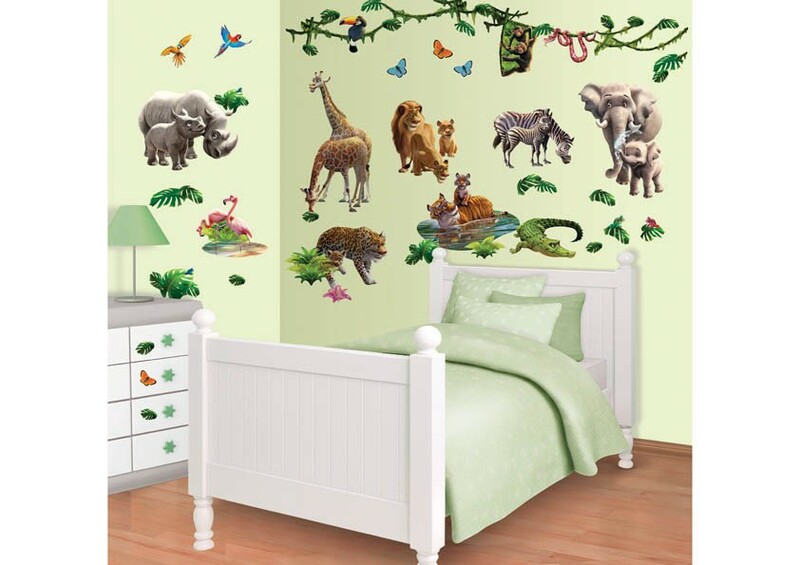 These wall stickers for kids can be used on walls and furniture. You'll receive a tube containing four sheets of glossy stickers, each sheet measuring 120cm x 60cm. This gives you plenty of sea themed stickers to complete your marine life mural. kids room stickers at their best. A great way to decorate girls and boys rooms quickly & easily. Kids wall stickers from Fun to see. 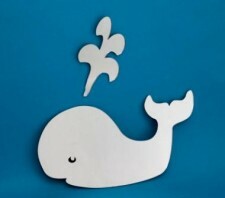 A range of Sea creature themed wall stickers for children / kids, plenty do a whole bedroom. Various sizes to create great perspective to you under the sea themed wall. The end result is a fantasic themed room. These sea creature themed bedroom wall stickers sets from Fun to See come in a lovely presentation box that makes them ideal gifts / presents for boys and girls. Just peel and stick your way to a great underwater adventure with ease. These amazing acrylic wall mirrors are a fantastic idea for any fish themed bedroom for kids. They are completly safe and shatterproof . The refection is as a good as a conventional glass mirror. But with these you can have fun designs and shapes. We can even make one to order to your own design. We have this whale mirror, Fish mirrors , Penguin mirrors and the popular Splash Mirror - Click here to see the range. A nice touch to complete your childrens sea themed bedroom. 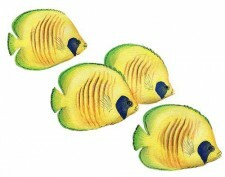 These Fish Stickers can be used to complement other under the sea wallpapers and wall stickers to complete your themed room.